want the reputation of the author to lend authority and credibility to your point. find memorable or historically significant language. don't want the author's meaning to be lost or changed if you paraphrased or summarized. find the author's language so clear and concise you wouldn't be able to effectively make the same point in your own words. can express in fewer words the main points of a source. want the ideas presented in the source, but not the specific language used to express it. Select the quote you'd like to use in your paper. Record it exactly as it appears in the original source. Use ellipses (...) to mark spots where you have left out words from the original text. 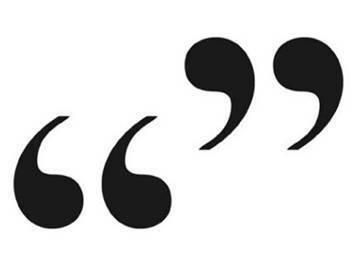 Place quotation marks around the complete text. Note the source and page number of the quotation in a launch statement or in parentheses. According to Lennie, "[...] I got you to look after me, and you got me to look after you, and that's why" (Steinbeck 14). Select a passage of text, article, chapter or entire book that supports your research. Read the selection until you feel you have a good understanding of its main points. Write a sentence or two in your own words that captures the main points. Revise your summary so it reads clearly. Note the source (and page number, if applicable) of the summary in a launch statement or in parentheses. Read the original text until you grasp its meaning; then set it aside. Using your memory, write down the main points or concepts. Change the structure of the text by varying the opening, changing the order of sentences, lengthening or shortening sentences, etc. Replace keywords within the sentences with synonyms or phrases with similar meanings. Note the source and page number of the paraphrase in a launch statement or in parentheses. If the existence of a signing ape was unsettling for linguists, it was also startling news for animal behaviorists (Davis 26). Davis observed that the existence of a signing ape unsettled linguists and startled animal behaviorists (26). Davis observed that if the presence of a sign-language-using chimp was disturbing for scientists studying language, it was also surprising to scientists studying animal behavior (26). Davis observed both linguists and animal behaviorists were taken by surprise upon learning of an ape’s ability to use sign language (26).